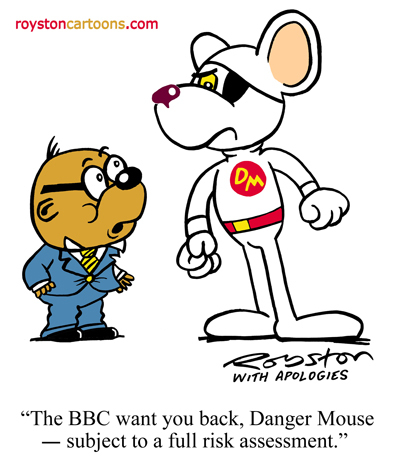 "The BBC want you back, Danger Mouse – subject to a full risk assessment." This cartoon from the current Private Eye could land me in Pedantry Corner again. Several people have pointed out that Danger Mouse was on ITV. 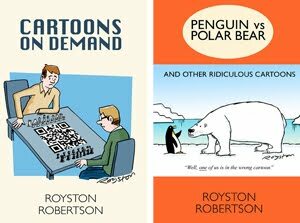 However, they may not be aware that this is a topical cartoon as the much-loved cartoon series is indeed returning ... to be screened on Children's BBC. So technically it's not wrong, depends on how you read it. That's my story and I'm sticking to it! UPDATE: The cartoon was mentioned in the next issue's Pedantry Corner, as predicted!